Plot: Ever since he was young, Sam Winchester has tried to escape his past. After his mother’s mysterious death, Sam’s father set out to seek revenge on the evil forces that killed her and destroy other evil beings along the way. Unlike Sam, Dean, Sam’s older brother, was eager to follow in his father’s footsteps, learning the tricks of the trade, and entering the “family business”. Sam on the other hand, determined to break free of the “family business”, left home as soon as he graduated from high school, unwavering from his quest to start a “normal” life on his own. Just as Sam’s new life was going perfectly with an upcoming interview at a prestigious law school and a beautiful girlfriend by his side, Dean arrived at Sam’s doorstep to let his brother know that their father disappeared on a hunting trip. Upon hearing the startling news, Sam, though reluctant, had no choice but to help Dean track down their father. 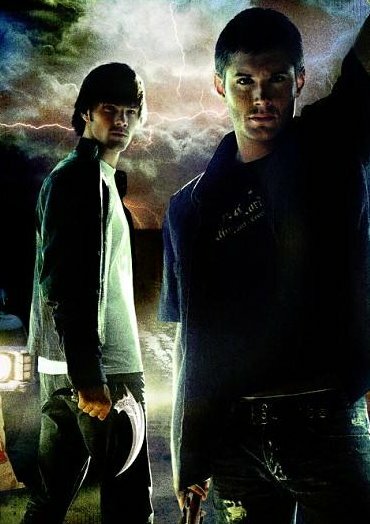 Now, on the road together in search of their father, tracking evil supernatural forces along the way, Dean and Sam have begun to reunite after spending several years apart. However, during their journey, old sibling rivalries resurface, and the effects of their strange upbringing are shown. Sam remains wary of their father and mission while Dean, although cocky and fearless on the surface, still tries to come to grips with his mother’s horrific death. But together with their different views and personalities, Sam and Dean are able to save lives by destroying the evil beings that haunt the earth.